A hearty meal that won't stay in your thighs. 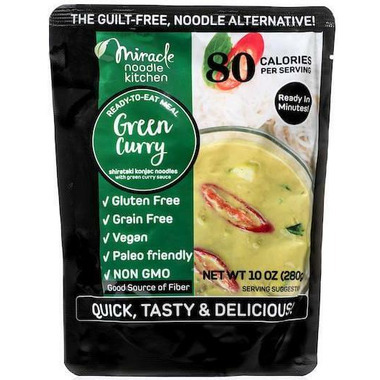 This low calorie green curry with konjac shirataki Miracle Noodle combines all the exotic flavours of Thailand in a quick and convenient meal perfect for lunch or dinner. 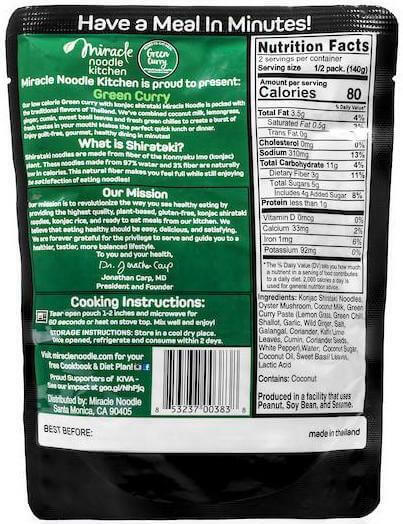 These are the perfect replacement for regular high carbohydrate noodles and pasta. Allergy Information: Produced in a facility that also uses peanut, soy beans and sesame.